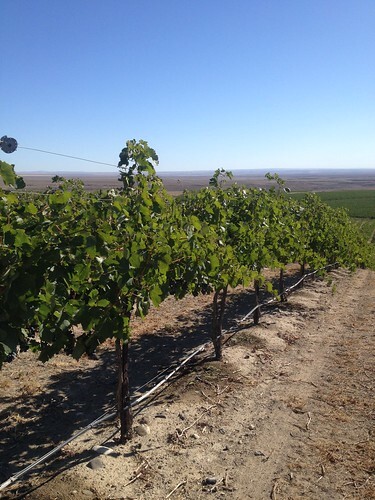 How about we get to know the vineyards of the Horse Heaven Hills in Washington State? I recently returned from a media trip out there. The name of the wine region may not be familiar to you, but there’s lots of history and historic vineyards. You’ve probably poured some of it into your wine glass on multiple occasions without even knowing it. Or have grapes from the region represented in the bottles resting in your wine cellar. 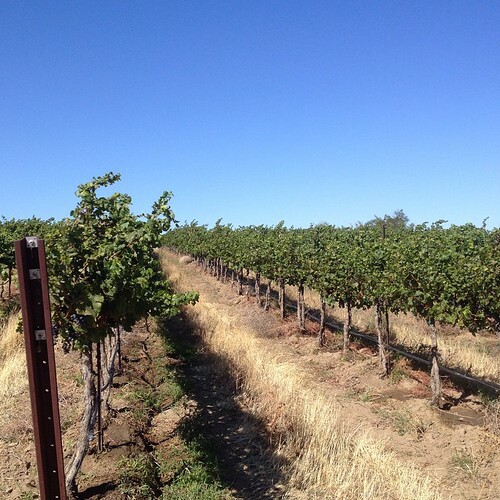 My journey started out at Coyote Canyon Vineyards, which was cool because the night before I enjoyed a bottle of Albariño from Coyote Canyon Winery. This Spanish white wine grape continues to impress me in versions from Washington (and Oregon). One of the most notable things I noted about Coyote Canyon? The wines? 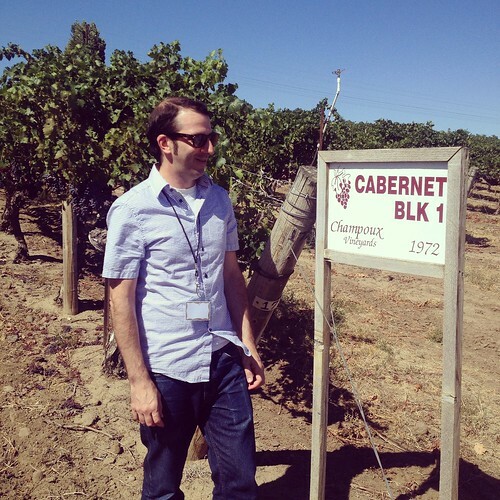 The vineyards? Well, I must admit I was a fan of the awards. Specifically a belt buckle. Sported by Mike Andrews. You see, that’s your trophy when you win big at the Houston Livestock and Rodeo wine competition. You can soak up some of that history and the wines at Mercer Family Estate‘s spacious tasting room in Prosser. And it was really great to be joined by Linda Mercer on a leg of my journey, as she had wonderful knowledge not just of her families history when it came to wine (she planted those initial aforementioned grapes), but also regarding the pioneering days of the Mercer’s in the sheep and wool business. Really, to understand the Horse Heaven Hills today, yesterday, and tomorrow is going to heavily involve the Mercer family. A fine year for things that would eventually grow up to be noteworthy. I will admit to drinking the latter wine rather than spitting it. 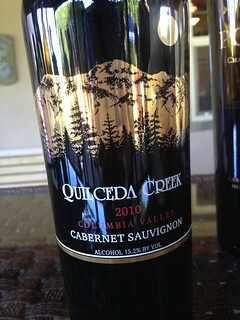 I will also admit that when Judy asked if we want to “revisit” anything, the Quilceda Creek was revisited. And not just by me. Then it was off to visit Chateau Ste. Michelle’s facility at the top of their Canoe Ridge Estate vineyards. 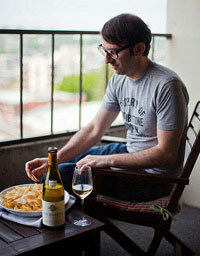 We ate brisket and fried chicken and drank some of CSM’s Horse Heaven Hills Sauvignon Blanc. Which, year after year, is one of my favorite white wines from Washington and it’s pretty damn inexpensive, too. It has a touch of oak barrel-aging that softens the sharp edges of Sauvignon Blanc. I happen to love searingly acidic Sauv Blanc, but if you find that off-putting, this is the wine for you. I also found out that the vines for this wine were planted in the 1970s, so maybe that has something to do with its consistently fine performance. Let us gaze at Canoe Ridge Vineyards! One final word about the area around Horse Heaven Hills: trust your GPS. 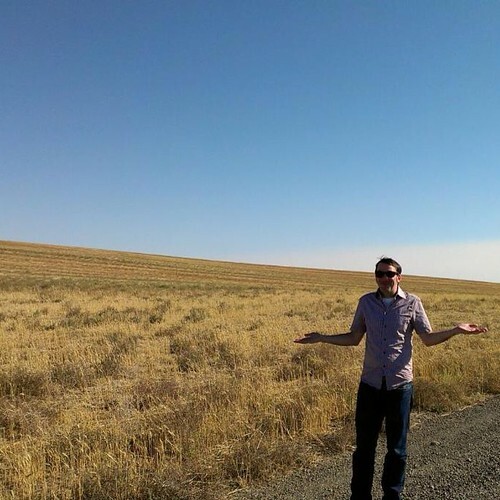 You may think it’s lying to you when you’re trying to head to Prosser for a beer, but it’s actually just sending you along a scenic gravel road. No need to panic. We have a few more of those HOUSTON LIVESTOCK belt buckles at the Precept Wine office if you need a little something to spice up your wardrobe! 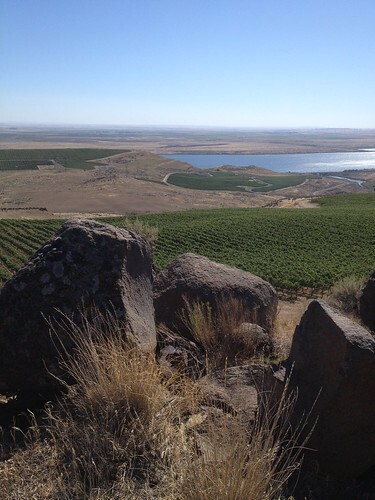 GREAT shot of Alder Ridge Vineyard, wow! Seriously?!? I’d love to borrow one and strut around with it.